The first month of the year has slipped by already. Are you wishing your life away or do you know what you want? Where you want to be? This year marks some big decisions for me. This has meant some big changes and maybe some hard times (including squashy times as I’m living in my parents’ spare room) but I think the sacrifice is worth it to move closer to what I want. The first step (actually made late last year) was to think about whether I was on the right track. Was I going where I wanted to go? I was losing belief in ever reaching my goal, meandering toward it on a path that was becoming overgrown and hard to navigate. It is important to note here that there is a difference between dreaming and goal setting. But I think dreaming is a great place to start, or maybe that is because I’m a day dreamer. And don’t worry about whether you have the skills for this ideal life, we will discuss that in a later post. At a talk presented by fantasy writer Lian Tanner, last year, something she said stuck with me: She had met writers she felt were better writers than she. Yet she was published and they were not. The reason: Lian was determined. Pure tenacity. She wanted to write and so spent the time and energy writing as best she could. Anything you want to do will require you to work at it. Finding something meaningful will mean life will be far more enjoyable and dedication will be easier. Action: Where do you want to be? What is your ideal life in five or ten years? Make a list or mind map or diagram and define your destination. I want to write engaging stories that pull readers into another world. And I want to do that full time, spending my days lost in the worlds I’m creating. When you know the destination, you can map the path to get there…and that is a story for another time. Energy management is just as important as time management. There are always 24 hours in the day, but if you don’t have the energy to use them, life can quickly become frustrating. I recently returned to my full time day job after some time off over the Christmas period and I’m feeling it. I’m simply exhausted. 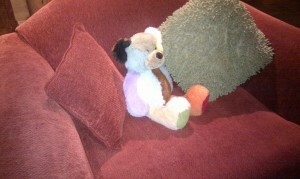 And when I get home I’m too tired to think about my writing, let alone sit down and do it. I find that extremely frustrating because I know where I would rather be spending my energy. We all have periods when our energy levels are not where we want them to be. We want to write, or blog, or paint but don’t have the energy. Energy ebbs and flows, depending on time of day and the activities you are involved in. It is easier to do things when you have the energy for them. By knowing your energy rhythms you are better able to plan your time. Take the time to measure or pay attention to your energy levels during the week, or over a month, to look at what affects those levels. Once you determine when your high energy levels are, plan to use them for the important tasks. Those things you really want to do. Or need to do to progress your writing or business. 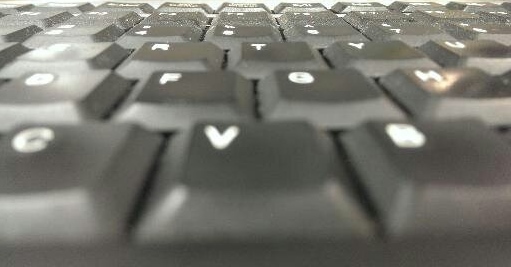 I work best of a morning so I try to focus that morning time on writing and editing. When you still have things to do but no real energy for thinking or creating, use the time to do the low energy tasks. These things still can inspire you, particularly other art forms, even watering the garden can inspire at times. But you don’t need energy to do it. This also ensures that these tasks can’t act as distractions or procrastination tools when energy levels are high. Then all you have to do is write. When energy levels are low there are ways to increase those levels. Make sure you take the time when you need it. Are you sitting up watching the shopping channel through bleary eyes? The easiest way to replenish energy levels is ensuring you get the right amount of rest. It is not possible to go full steam 24 hours a day. There are times when you need to slow down and even stop. Regular exercise and eating properly also helps to keep energy levels up and ensures the fitness to continue doing what you want. Looking after yourself ensures your energy levels are where they need to be. Life is busy enough, don’t add guilt to the mix. Sometimes there is very little you can do other than ride out the low energy levels. Life can get hectic and different things occurring in your life can affect you differently. We all have family and work and friends and pets and well the list goes on. Don’t add guilt to this pile of things. Adding extra pressure to yourself may lead to writer’s block or anxiety and stress. Adding pressure to your self does not increase your ability to get things done. Breath, think about what you do have to do, need to do, want to do. Make a plan and do what you can. Following through with the simple steps above will help you understand your energy levels and better manage your time in conjunction with energy. 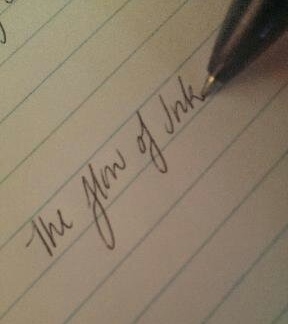 I find that the more I write the more likely I am to write and the easier it is to enter the flow. Therefore I’m a firm believer that it is important to write every day. Even if it is only a sentence. Not everyone agrees with me. There are writers out there only writing weekends and achieving a lot. But I know that too long a gap between writing sessions only increases my anxieties about writing and it takes me longer to find my flow. The writing doesn’t have to be world shaking, or even good. In fact some sentences may be downright bad. Your writing does not have to be written in a leather journal or into a top of the line writing program. It could be written in your head, or the back of an envelope or be part of the shopping list. The important part is to write. I was recently trapped alone in a car on a long trip for my day job. Spring was ending and summer was starting and it was a sunny day. I spent the journey trying to describe the grass that grew along the side of the road. The hours of writing various descriptions in my mind while I drove achieved something: I still have the strong image of the grass now, months later, nodding heavy seeded heads as I drove past. Despite wanting to write every day I haven’t always manage to do it. Something would prevent me doing what I love and usually that was me. This year I have set myself a challenge: To write at least a sentence every day. It all boils down to me writing every day and I hope by the end of the year to have 365 days of sentences. Think about when you are or were most productive in your writing. Was it during a particular period, time of day, emotional space or only on a Sunday afternoon when you sit in a particular chair? Now, what was special about that time or place? And what could you do to replicate it? Hit reply to share your response. Recently I was talking to some friends about writing retreats. The dedicated writing time with like minded people and a focus on a particular aspect of writing is something we could all do with. There are many opportunities out there from Bali, the Blue Mountains and even Hobart. I attended a “Writing the Senses” retreat in Bali with Patti Miller a couple of years ago. It was fantastic but it is not something I can afford to do more than once. The cost of a writing retreat is sometimes just too much. Last year I had the idea to plan my own retreat. I contacted a writing buddy and she was keen to join me. The initial plan was for 2 or 3 days, and then we were both able to get some leave and stretched it out to 5 days. We found a little house within an hour’s drive of home, just in case, that was isolated enough and started preparations. The just in case is because I have a young daughter and she was more willing to wave me off knowing I was only an hour away if she really needed me. The house was fully equipped, in the middle of a property with lots of space and fresh air and no distractions. It had a phone that could only be called in to and as it turned out no mobile phone reception or internet and that reduced the possible distractions further. Most writing retreats combine classes with individual writing time. Given that I was dictating what I would be doing during the day I needed to ensure I had everything I would need to keep me writing. Before setting off for the retreat itself, I needed to plan what I would be doing, and what to take with me. I was working on an edit of my fantasy manuscript and after thinking about the options decided that it would be the only project to work on over the time away. All of this fitted neatly into a crate in the back of the car. We shopped on the way for meals and snacks and so once we arrived at the house we didn’t need to leave again. And the house was perfect. It had two large bedrooms with a bathroom each, comfy couches and a large dining table. The kitchen was completely set up and although my buddy brought her coffee machine, we didn’t really need anything else. All we had to do then was write – and we did – loads of it. We were able to move around between couches and the table, work off laptops or paper. Solid writing with very little distraction. If one of us put the kettle on, then we offered the other a drink and went back to it. We snacked as we liked, ate when we wanted and wrote/edited for 12 to 14 hours a day. It was perfect and I achieved so much over those days, including finishing the current edit of my manuscript and completing another read through. I came away empowered, fulfilled and keen to do more. We have already discussed the timing for next year’s retreat and we think we will stay at the same place again. I set my goals for the coming year well before the bell tolls in the New Year. Yet so many leave it until that last minute to think about it. Where I want to be and what I need to do to get there. Once you have the where determined, it is time to think about the what. I have my goals for the following year drafted by August/September and finalised (written down) by November/December. That way I’m continuing on, rather than starting whole new goals. At the end of each year I review how well I went at achieving my previous year’s goals. For each of the above points, the question why needs to be asked. Where they the best goals for me? Why did I achieve some things but not others? Why did certain processes work and what can I do to replicate them? This reflective process helps keep focus as well as determining what will work best over the coming year. I also review the year’s goals midway through the year to ensure they are still relevant, achievable and on track. 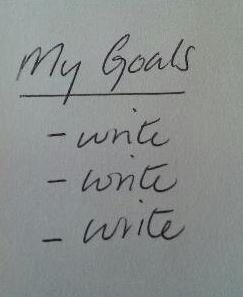 I will look more closely at goal setting over the next few months but for now I will share with you my writing goals for 2014. Some of these goals are continuations of what I started last year, or even before. Some are new and some are definitely pushing my writing limits. Yet I believe they are achievable and all lead toward my ultimate goal – to write full time. What are you doing this year to work toward it? 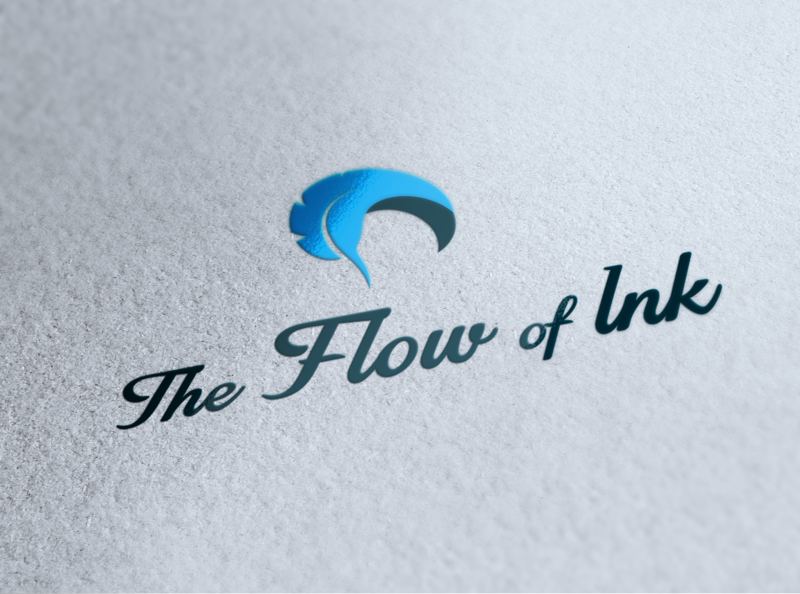 The Flow of Ink comes from the image of ink flowing across the page. It is for that flow of words that I write. I find it truly magical that any story can appear through my fingers onto the page with little understanding of where the words themselves have come from. As though the characters write themselves, telling me their story and I am simply the scribe. Starting a website of my own is something I have wanted to do for some time, but it was only recently that I plucked up the courage to dive in. The idea behind the site is to improve my own writing practice and in the longer term reach a broader audience. This blog will cover my writing journey, including what I am writing, how I write, my practice and reflections. Part of my practice involves time and energy management, goal setting and action planning to ensure I write as much as I can. I, like many others, write around a day job and family. So making the most of the small amount of time I have is very important. In the past I struggled to use time efficiently, as well as dealing with procrastination and writers block. I have developed tools now to work around these areas and I would like to share them with you in the hope of helping other emerging writers get the most writing out of the time available. I am excited that you can be a part of this journey. Please use the comments section on any post and if you would like more information or have a specific query you can also contact me via the details on the contact page.